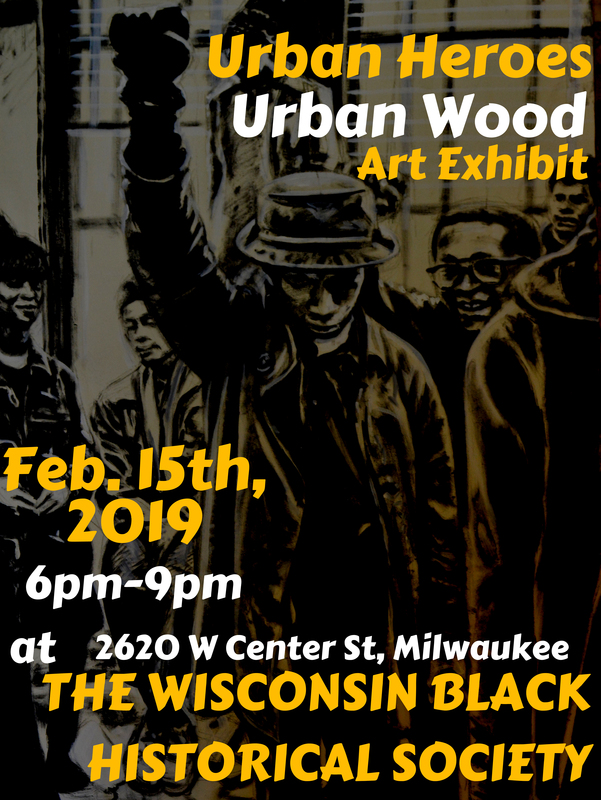 You’re invited to the opening reception of Urban Heroes Urban Wood at the Wisconsin Black Historical Society, featuring visual artists from Fresh Perspective Art Collective! The event will be held on February 15th from 6pm-9pm. There will be food, refreshments, musical entertainment, and a plethora of art! The works completed for “URBAN HEROES, URBAN WOOD” together share the story of Milwaukee’s black community through paintings and photographs displayed on wood from Milwaukee ash trees. Some of the honored subjects include Isaac and Marcia Coggs, Al Jarreau, Eric Von, Hank Aaron and others.